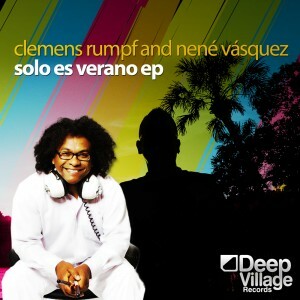 Clemens Rumpf and Nene Vasquez have teamed up for a new Latin House Project, due for release in summer 2011. This Summer Sampler on Deep Village Digital Records is another absolute masterpiece of chilled latin house music. It’s an outstanding compilation and a must-have release for all Latin House Lovers! Deep Village is very proud to have the 2001 Grammy Winner “Nene Vasquez” on this release. Here you will find Nene Vasquez live on stage with artists, such as Caballeros de la Quema, Illya Kuryaky, Desorden Público, Mata Rica, King Chango, Fabulosos Cadillac, Guaco, Todos estrellas, Gran Coquivacoa, Los Pericos…just to name a few!